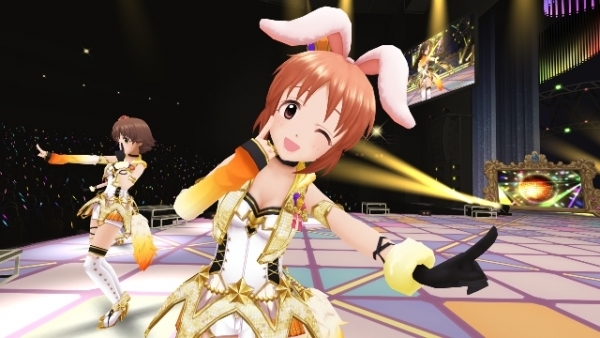 "VR idol concert" game to cost 2,296 yen. Bandai Namco has released an introduction trailer for The Idolmaster: Cinderella Girls Viewing Revolution, its PlayStation VR-exclusive The Idolmaster game due out on October 13 in Japan. Famitsu has also gone up with a gameplay video. The “VR idol concert” game will cost 2,296 yen when it launches. It features three songs: “Onegai! Cinderella,” “Star! !,” and “Yes! Party Time! !” Pre-orders include the “Produce Wristband” downloadable content, which you can wear during a concert. Early purchases include a special PlayStation 4 theme with “Yes! Party Time!! (Game Version)” playing in the background.